Simon Lussier Ltd. is a notable player in the hardwood and pine distribution and export business. The company has acquired an excellent reputation, at home and abroad, thanks to the high quality of its products, the wide range of species offered, and its impeccable service. Our success was founded upon our know-how, constantly evolving since our beginnings in 1938. Trust us to acquire high-end products that will maximize your production. We offer more than 20 species, kiln-dried or not, available in four grades in a variety of thicknesses. You also benefit from a wide selection of widths and lengths for most hardwood species. Get high quality lumber that fits your production needs. The company offers its customers a wide variety of hardwood and pine species, oven-dried or not. Simon Lussier Ltd. offers more than 20 species of air-dried hardwood and pine. We offer more than 20 species of hardwood and pine, kiln-dried with methods we have been developing since 1938. Finding proper suppliers is of paramount importance to Simon Lussier Ltd. Before we even buy any species, our buyers – qualified in hardwood grading – evaluate the quality offered by each supplier. Only sawmills that offer products matching our high standards and requirements will end up being selected as a source. This is how we manage to offer superior quality products on the market. 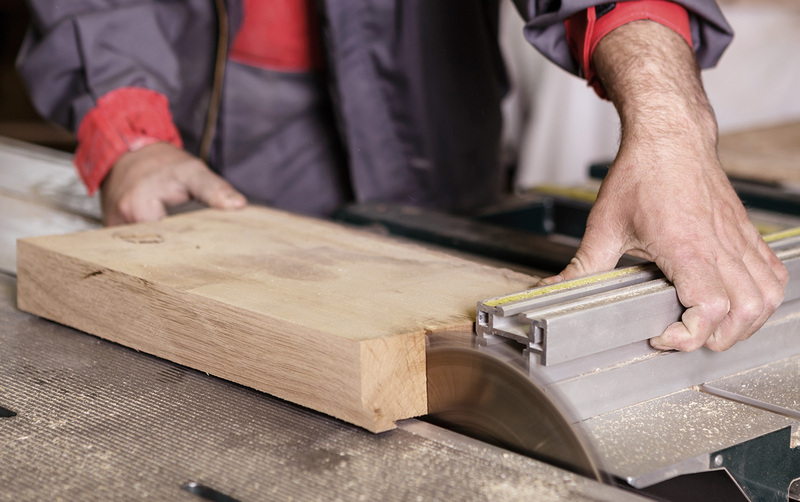 Quality partnerships: Nowadays, our network consists of more than 50 sawmills able to comply to our numerous standards based on the quality of the products we expect from them. Once the quality control is done, selected boards are then sent to the grading chain for sticking and drying. This step requires our team to achieve exceptional levels of precision and accuracy to guarantee the quality of our products. This explains why our procedures require one length per bundle to insure an optimal drying. To prevent excessive warping, the stickers are precisely spread out at every 30 cm and well aligned. The lumber is then loaded in a kiln to be dried for a length of time based on its species, thickness, and moisture content upon entry. Once the drying cycle is over, every load has to stay an extra 24 hours for conditioning and balancing to prevent any stress or change in humidity. Once the product has been dried, our grading experts complete one last inspection to insure optimal and constant quality. According to your needs, sorting and packaging can be done by our team prior to shipping. A personalized selection service is also available to provide an array of widths, lengths and colors in your order. A tally is established for every bundle and shows a maximum of information. This score sheet is the most complete on the market, providing details on the color, quality, quantity, and length, while also helping in determining the volume of each bundle. Specialized service: Colors can be chosen after planing to guarantee uniform results. Contact us for more information on this service. Our vast inventory of lumber species is stored in modern facilities, protecting it against the weather and other potential hazards. This controlled storage guarantees humidity levels adapted to each species. Our clients can count on a steady and diversified inventory, making products available quickly. Thanks to our warehouses, our clients have chosen from a wide variety of species, thickness and grades. Shipping is done by truck, container ship, or by train. We make sure we offer the shipping method best suited to optimize your production and meet your deadlines. We understand the reality of our customers. This is why we offer you our expertise to provide you with high quality products while also meeting the deadlines. Contact us to benefit from a long-lasting partnership. Simon Lussier Ltd offers its customers the possibility of ordering up to 3 months in advance for projects involving large quantities or rare species. According to your needs, we guarantee the price and the availability of the species you have selected. Contact us for more information on our Partnership and Price Program. Simon Lussier Ltd is a trusted supplier and exporter since 1938. If a problem should come up, we will be there for you, even after the product has been delivered. Con- tact us to learn more about our after sales service.